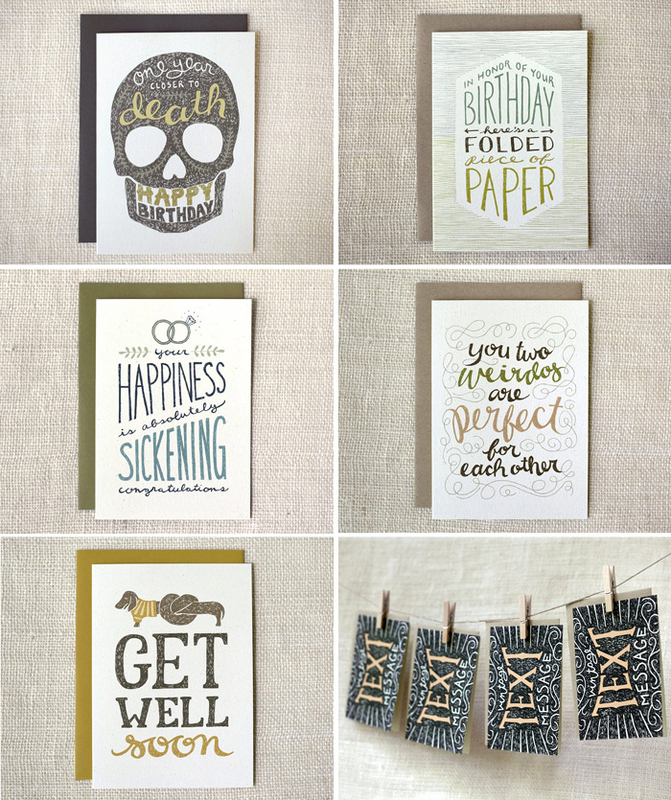 Amanda from Wit and Whistle has created some really beautiful and funny new hand drawn greetings cards. I will always love hand drawn type. This weekend I am going to get my pens out and do some doodling of my own.